Once upon a time there was a bad pirate who used to attack the boats he saw. He was called Ulysses and his boat was the biggest and fastest boat ever known. It was so fast that on Christmas day Santa´s sled flew across and the reindeers could not avoid the sails. 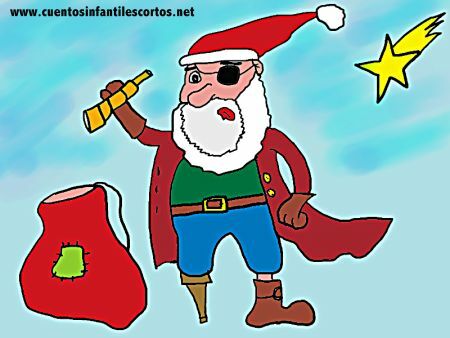 “I´m here to give you your gift” – said Santa. “My gift?” – said Ulysses. But suddenly, Santa Claus was gone and he had left a present on the boat. “In exchange you will get the best gift ever. You will feel complete because you will be helping people and making children happy“. The letter convinced Ulysses and he started his new job as soon as he could. The pirate realised that helping people is the best job that exists.